Online tickets are no longer available. Tickets will be available at the door! Hyperglow Tour "America's Largest Glow Party"
Since its inception in 2013, Hyperglow Tour has been on a mission to become America’s Largest Party. With massive expansions across the world, five consecutive years later this vision has certainly become a reality. 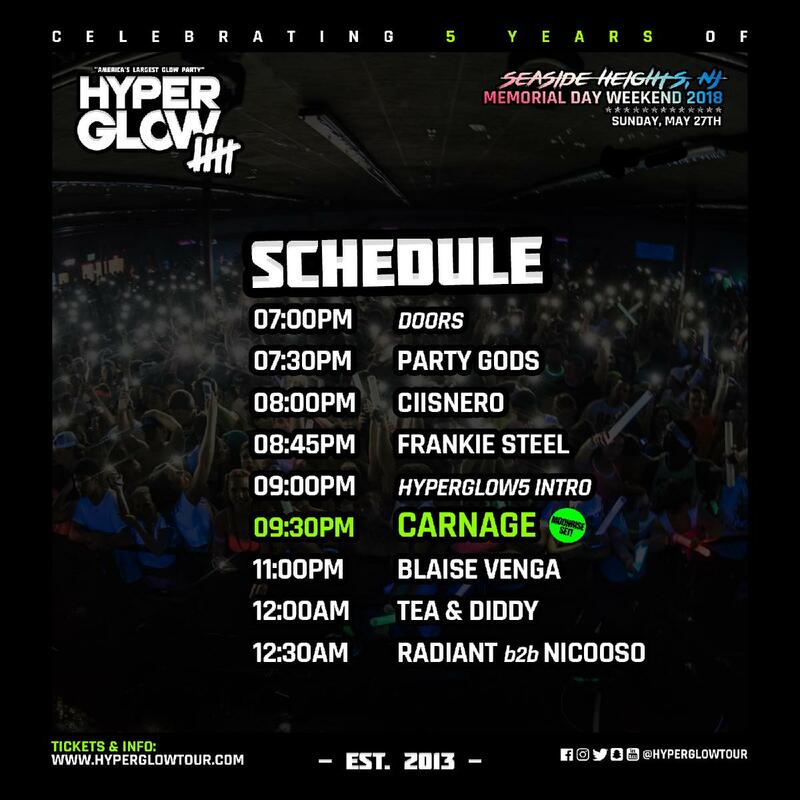 By now, it would be expected that the novelty of glow events would be extinct, but Hyperglow reimagined their party’s into an unforeseen over-the-top experience; combining massive themes, high energy dance music, mind-blowing performances and entertainers under an ultra violet atmosphere.